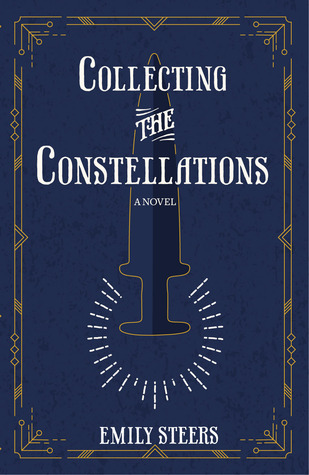 Last year, a college classmate released her debut novel Collecting The Constellations, a contemporary mystery-adventure story. 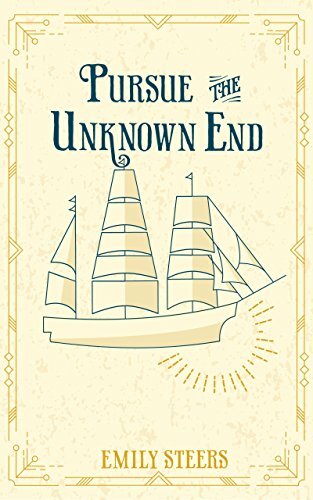 The sequel to that book, PURSUE THE UNKNOWN END, was released on September 1, 2017. Fresh off their life-altering trip to Kathmandu, Charlotte and Rory left New York City for the relatively quiet confines of Tilly's Texas ranch. On the day of their wedding, a mysterious gift arrives on the doorway, soliciting the pair to uncover the secrets of its confines A.S.A.P. The contents of the box send the pair to Boston, the former Hub of the Solar System, to dig through America's complex history of business, representation, and human rights. But as Charlotte and Rory get closer to uncovering one of Boston's best-held secrets, new revelations about their relationship come to light. Add Pursue the Unknown End to your Goodreads shelf. 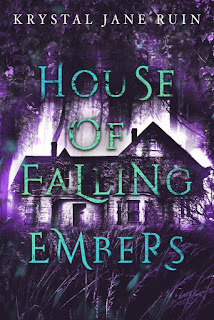 You can get both books in Emily's Antiquities series on Amazon for $1.98. 1. 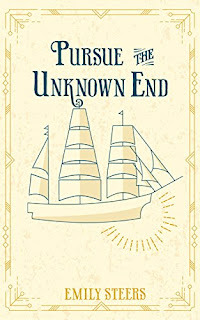 Pursue the Unknown End is the second book in the Antiquities series and the sequel to Collecting the Constellations. How soon after writing the first book did you start writing the second? Truthfully, it took months. The actual effort and turmoil of self-publishing COLLECTING THE CONSTELLATIONS really took it out of me! But I always knew that the adventures that Charlotte and Rory went on couldn't stop at one book, so I spent a lot of time figuring out how I could create a new structure around which they could continue. COLLECTING THE CONSTELLATIONS ends, and PURSUE THE UNKNOWN END starts, with them both in such an unmoored, limbo state with their careers and lives. I love books about transitional periods that don't really revolve around the typical moments of change– marriage, birth, death, etc. Life transitions happen so much more frequently than we'd like to admit. And transitional times are rife for conflict--and as you say, they happen much more than we'd like to admit. Collecting the Constellations took place in Nepal and India--places you haven't been, right? Pursue the Unknown End takes place in and around Boston, which I know you know very well 'cause we went to college there. What made you want to bring the setting closer to home this time around? As much as I've always wanted to go to Nepal, I haven't been. So it was a really fun project to research everything that happens in Kathmandu– and let me tell you, EVERYTHING is researched, even down to the color of polo shirts they wear at the Indian version of Target that I reference toward the end of COLLECTING THE CONSTELLATIONS. Believe it or not, that's all real, even though a lot of readers thought I was making it up. Boston was actually a bit of a mental backlash to the criticism I got about putting Charlotte in such an "exotic" location in the first book. Even though I'd researched every last detail about Nepal and India in CONSTELLATIONS, a bunch of people were like, "That's not real! That can't be real!" So, I thought: what's better known than one of the oldest cities in America? And what's more mundane than the place where you went to college? Of course, the age of Boston lends itself to mystery– I still learn weirdo tidbits about the city that make me realize how old it is. That bit about the grave sites and pathways? Totally true. I like cemeteries. I have very clear memories of walking past and into the graveyards in Boston. Oddly enough, they were one of my favorite parts of living in Boston for the three years I was in college. What was your favorite part of writing Boston? I lived, for a brief time as a child, north of Boston, near Gloucester. Then, obviously, I spent many years in the Back Bay while attending Emerson. I know enough about the southern Cape and the whaling industry due to my parents' current hometown near Mystic, CT, where there's a living museum dedicated to old ships and the fishing and whaling industries of New England in the 1800s. I think when you're a kid and growing up there, you forget how small New England is, and you certainly can't grasp just how much of America is still based on colonial norms and means. While at Emerson, I lived in the smallest apartment ever in the Back Bay and worked in a few different parts of Boston– in Faneuil Hall/North End and closer to the Fenway as well. I walked everywhere– past the burial grounds, past the plaques of information, past the statues, past the museums. Walking the same paths every day for three years (I graduated early), you do come to memorize the details that you see. Also, I think it's funny that while most of New England is deeply rooted in "townie" culture, Boston is incredibly diverse (well, compared to non-city New England). I didn't want Charlotte to come in contact with too many Boston natives. "Scholarly Boston" is a fascinating culture. As someone who is a bit of a conservationist and certainly an animal rights activist, the history of the whaling industry in America is mind-boggling to me. It was like Silicon Valley is today, but a million times as disgusting and dangerous. But, as it's touched upon in the book, the whaling industry was at its height during a huge upheaval in American cultural norms, too– black freed men were allowed to work, for pay, on ships; and certainly the abolitionist/anti-south sentiment of Northerners was coming to a head, too. I'm not saying the North is a paragon of virtuous racial relations– OH, SO FAR FROM IT– but it was always an interesting time to me. Of course, this was a time of gender relations upheaval, too. Basically, Boston was a freaking cultural mess at that time. Feels familiar. The scrimshaw--and whole mystery around it--felt more intricate this time around. Do you remember what inspired that part of the book? I wanted something that was about the complete, artistic opposite as the archaeological piece of the first book. COLLECTING THE CONSTELLATIONS revolved around a sapphire blade. And to me, a piece of folk art made from a tooth really fit the bill. The mystery of CONSTELLATIONS revolved around gods and wealth and the cosmos while the scrimshaw of PURSUE THE UNKNOWN END exalts the mundane, and very, very ordinary people. Even though most of the sailors at that time were of some sort of Protestant sect, there's not a whole lot of God depicted in scrimshaw. You think to yourself, "What kind of secret could this possibly bear?" and you know it has to do with personal, intimate secrets, and not secrets of the universe. I was giving Rory a lot of side eye toward the end of the book (as if he didn't know who he was marrying! Honestly!). There's another one coming in this series, right? Oh, definitely! It's funny– I got a bit of flak after the first book for making Rory a true female stand-in in an adventure series. Without a doubt, he's just kind of there to be hot and make Charlotte be the hero. So I thought to myself, "You want a male character that's more real? You're not going to like what you read!" I just finished the rough draft of the first book in a new book series. VIVIAN VALENTINE GETS HER MAN is about a Girl Friday whose P.I. goes missing, and she has to finish his case– all while trying to figure out what happened to her boss. It's so fun to write, as it takes place in perfect world for a noir-ish mystery– New York City in 1950. I just love writing smart-aleky women. But I'm going to be querying agents on this soon, and hoping I can go a more traditional publishing route with it. Thank you so much Emily for answering my questions and stopping by! Emily (Steers) Edwards is one of the few writers based in Los Angeles who doesn’t write screenplays. 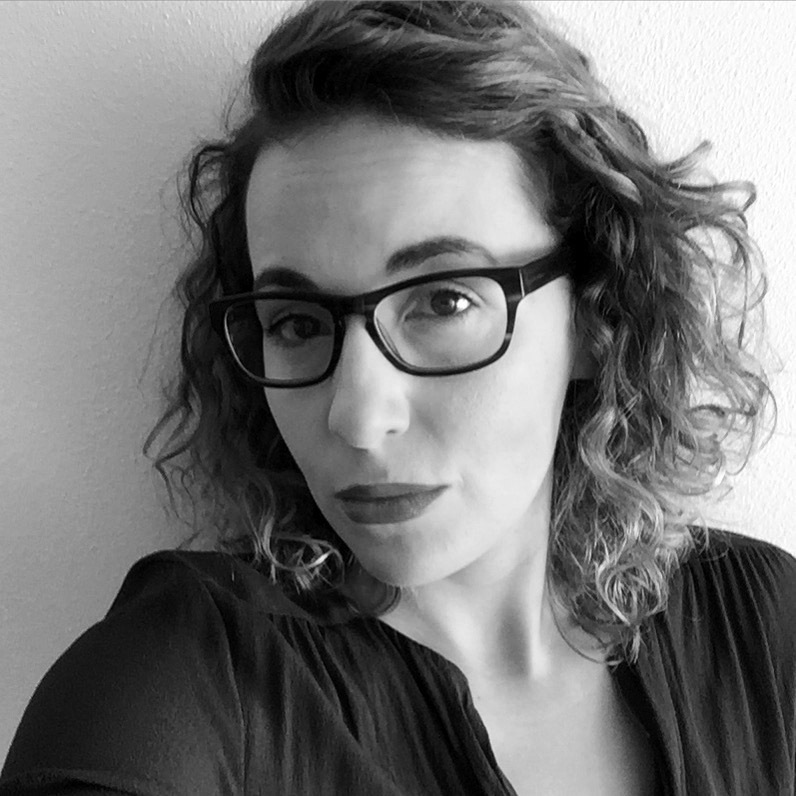 With an extensive background in corporate copywriting and editorial, she has written for several national publications and keeps her own lifestyle blog. Emily is a graduate of Emerson College’s Writing, Literature, and Publishing program. She resides in Pasadena with her husband and their two dogs. To keep in contact, follow her on Twitter @MsEmilyEdwards, Instagram, Facebook, or on her blog, Yankee Smartass. I've never quite understood people arguing about little details. But then I usually tend to just take the writer's word for it. Most people do a lot more research than I do. Scrimshaws look like they're pretty interesting! I'd never heard of that before. A noir mystery sounds like it would be a lot of fun to write! I think about trying my hand at it, but I'd have to put a ghost in it or something. Ha. Have you ever been to Boston? It's riddled with cemeteries. And ghost stories. You'd love it. I've been there twice, but it was for work and we stayed in Andover - I should get back up there for a pure leisure trip. I bet they have some awesome ghost tours this time of year! Oh, they do! Plus, Salem--it's basically all witch trial, from what I remember. I love reading about "smart-aleky women"! It is really, really nice to hear about (and get excited about!) someone exploring character development during the transition period between major life events. The "mundane" and ordinary is often more interesting than the "exciting" -- just ask Eggleston. I don't understand the nitpicking or complaining about authenticity either. For me, part of joy of reading is giving myself away to the realities of the world the writer created (and that I'm frolicking in). I've personally enjoyed my friend's writing-based research quite a bit -- trying new foods, watching clips on YouTube, and digging through random articles. Hope you enjoyed your Nepal research too (read: lots of burfis)! Nice interview and the book sounds awesome. Congrats! And after visiting the fascinating cemeteries in New Orleans, I totally get their appeal now. But I still won’t visit one at night due to my scaredy cat nature. And your Girl Friday based idea sounds great too. Love those types of characters. Women who weren’t afraid to show their intelligence.